What does an interior decorator online do when one of her favorite pieces is no longer available? Find a replacement of course. Of course, this table is not for everyone but it did work perfectly in a small space, slightly bohemian / earthy inspirited room. Slightly organic, small scaled and simply cool. 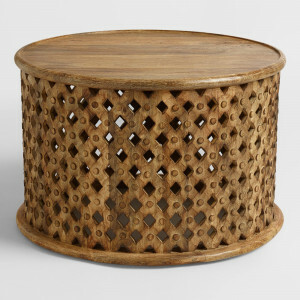 But, sadly, as many items from West Elm do, the table came and went. So, I went on the search for a replacement. 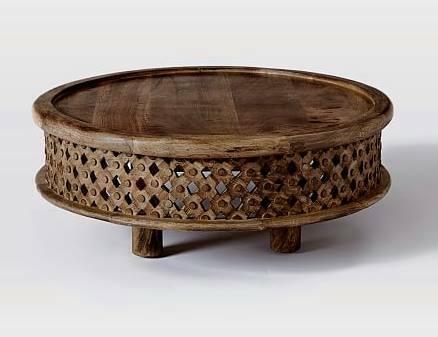 This lead me to the Tribal Carved Coffee Table from World Market – a great alternative at a great price $299.99.